Here is what they haven’t done: trade for Paul George, Jimmy Butler or Carmelo Anthony or sign any capable wing defender or rim protector with NBA experience. They also reportedly almost traded away Kyrie Irving for Eric Bledsoe and the No. 4 pick in the 2017 NBA Draft. As you can imagine, that hasn’t exactly tickled the fancy of LeBron James who will continue to be in “win now” mode to improve and beat the Warriors while he is still in his prime. “LeBron James, the NBA’s most powerful player and biggest star who brought the Cleveland Cavaliers their first NBA championship, is concerned about the Cavaliers’ offseason, a person close to the situation told USA TODAY Sports. Expecting an aggressive offseason approach that would close the gap on the champion Golden State Warriors, James soon found his anticipation and optimism diminished after Cavaliers owner Dan Gilbert dismantled the front office, declining days before the draft and free agency to bring back general manager David Griffin and vice president of basketball operations Trent Redden. 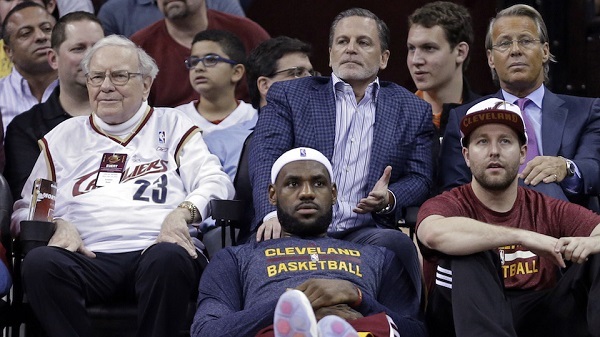 The Cavaliers, namely Dan Gilbert, is dropping the ball immensely this off-season by not paying up to keep a good general manager or paying enough to hire another one to help them acquire more talent and athleticism during an off-season when they sorely need it. The Cavaliers need to work their way into acquiring a Carmelo Anthony to save face this off-season and not completely alienate the best player in franchise history going into a summer when he can leave them once again. This is starting to feel a little like history repeating itself.